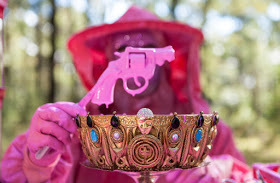 As the father of a four-year-old daughter, this new work by Mexican-Australian artists Sissy Reyes and Jorge Mansilla, debuting this week at the Sydney Fringe Festival immediately caught my attention. Despite our best efforts to keep things gender-neutral at home, our daughter is already starting to distinguish between “boys things” and “girls things”. At the heart of the work is a kind of mythical pre-Colombian philosopher’s stone that turns everyday objects into a genderised or Genderatored pink. 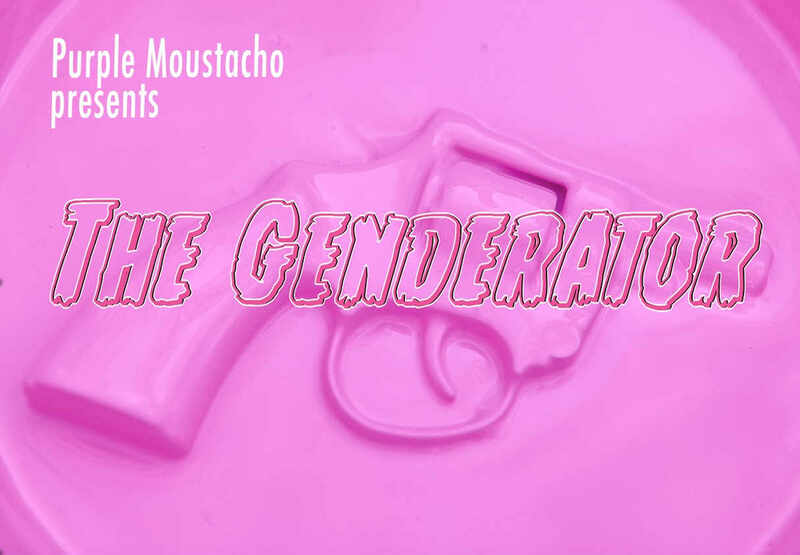 The location of the Genderator, somewhere in the middle of the Australian bush, seems absurd, and this lends a kind of pop-whimsical humour to this project. Juxtaposed as it is against this proto-landscape, the Genderator soon however takes on a sinister tone, as the faceless protagonist slowly transmutes random objects of non-defined gender into “female goods”. Speaking on the night to Mansilla he said “boys are targeted with Pirate ship lego sets, cars or toy guns, while girls as young as 3 years old are targeted with pink kitchen and beauty sets and baby dolls.” Reyes added that “if girls as young as three years old are associating pink coloured products with a kind of permission to use, wear, play, and think, they are learning from a very young age to confuse who they want to become, with who they are allowed to become.” This was eerily backed up the next day when I opened up this Guardian article (http://www.theguardian.com/science/2015/sep/04/toys-aimed-at-girls-steering-women-away-from-science-careers) to see that researchers are finding that “passive” girls toys may lead women away from careers in Science and Engineering. The Genderator is a visually satisfying and beautiful cinematic work, which is both thoughtful and never more relevant in this era of twenty-four seven gender-driven marketing. Purple Moustacho is a Mexican art duo formed by visual artists Sissy Reyes and Jorge Mansilla who have been collaborating since 2008. Influenced by the raw, often tragic, desperately humorous and everlasting colourful nature of their native Mexico the artists bring a refreshed perspective to Australian visual arts by combining complex, surreal and striking aesthetics with themes of gender, sexuality, consumerism, cultural constructs and human nature.